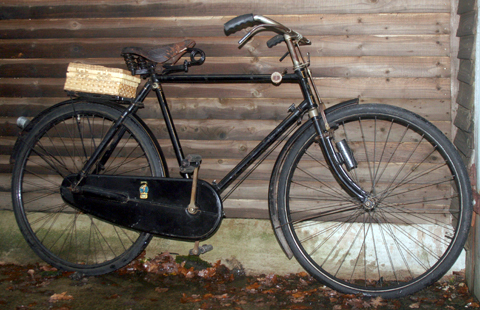 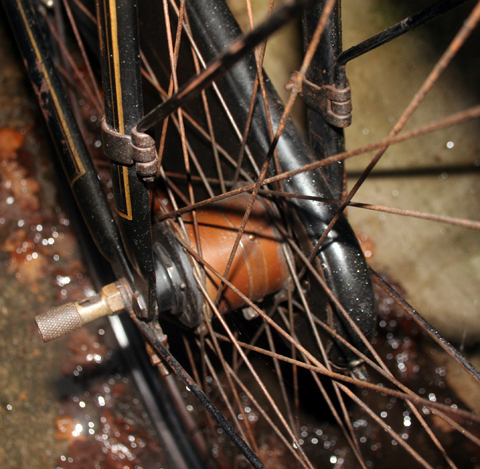 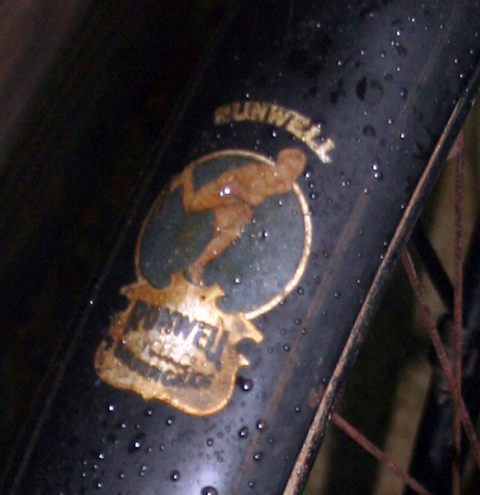 I took photos of this Runwell during the storms of November 2009 – the wettest November in Britain since records began. 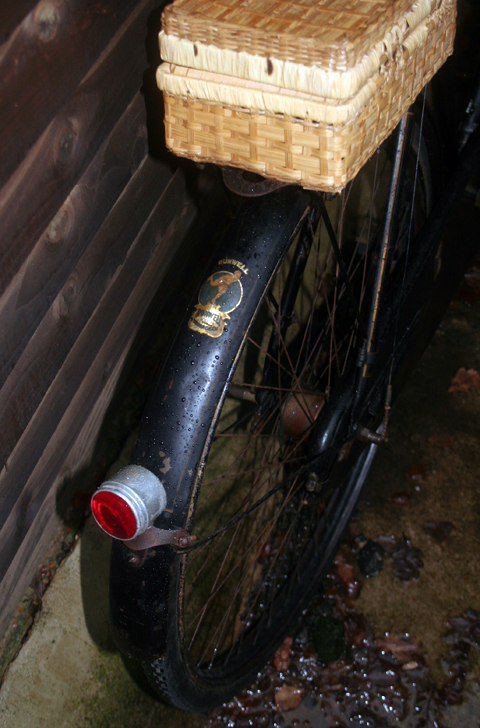 I’ll add more pictures when the weather improves. 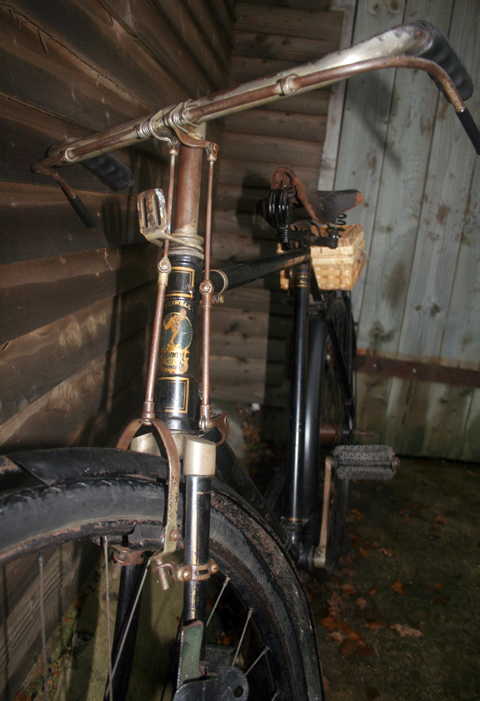 This is the sort of bicycle I love to find. 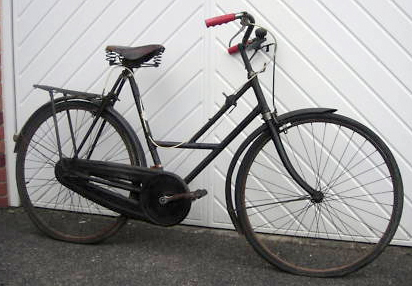 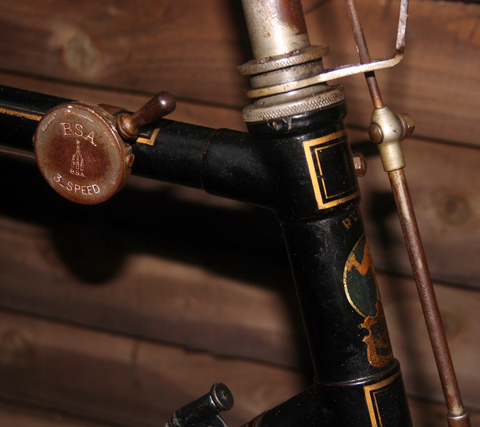 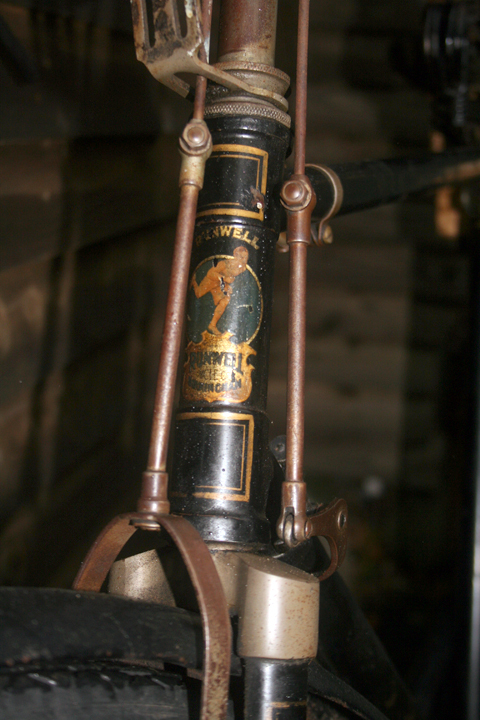 The paint is in superb original condition, with transfers intact; it is a very well-built bicycle, of a marque with a reputation for quality; it sports the extra options available in its catalogue; and it retains its original fittings. 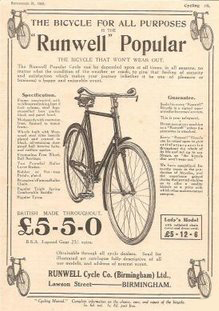 A Runwell is quite rare to find these days, and this is a handsome machine. 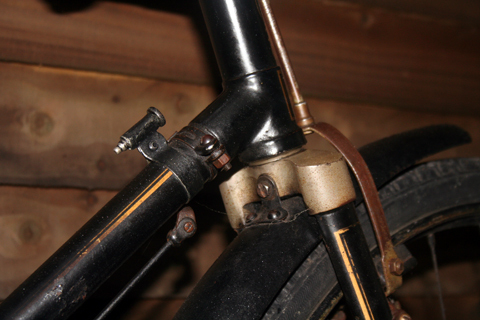 Of the hundreds of cycle manufacturers in the 20th century, only a few dozen or so have had their frame numbers logged to make it easy to assess a bicycle’s age. 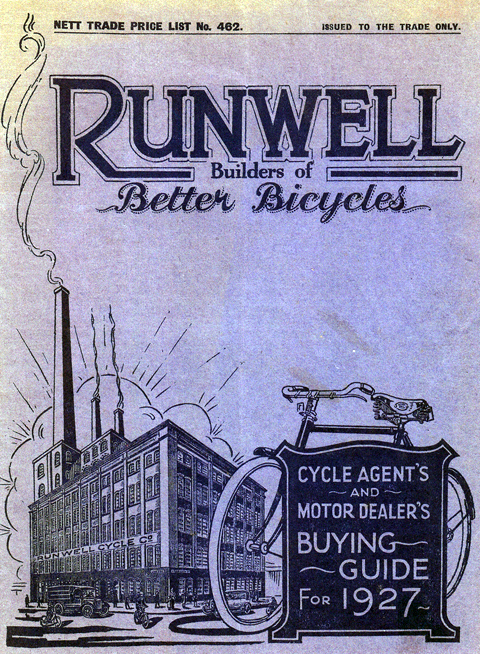 Some factories were bombed during the War; the records of others were lost after they ceased trading or were taken over by other companies. 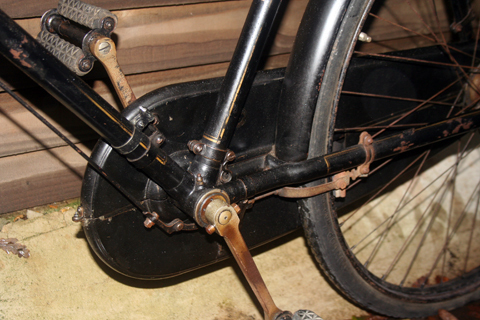 Some did not have sequential frame-numbering. 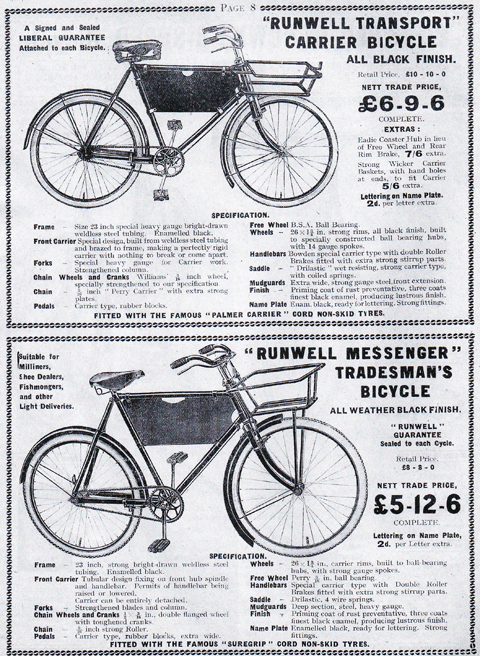 The more popular marques now have specialists who have compiled records as far as they can from bicycles still in existence. 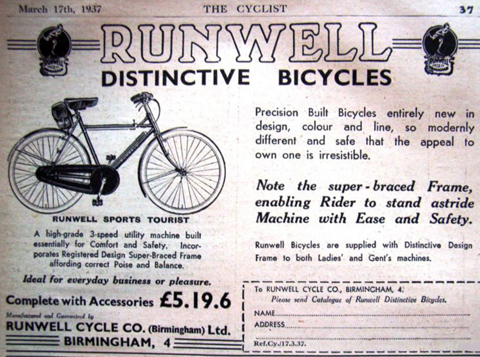 Runwell does not fall into any of those categories. 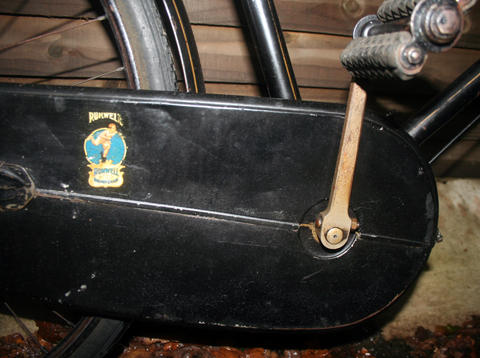 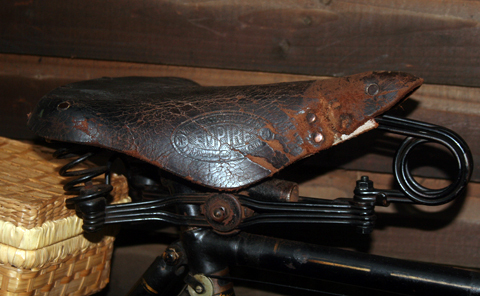 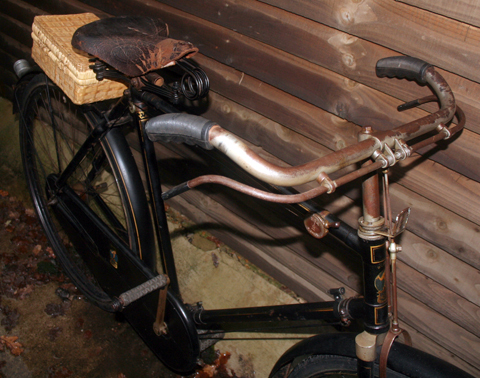 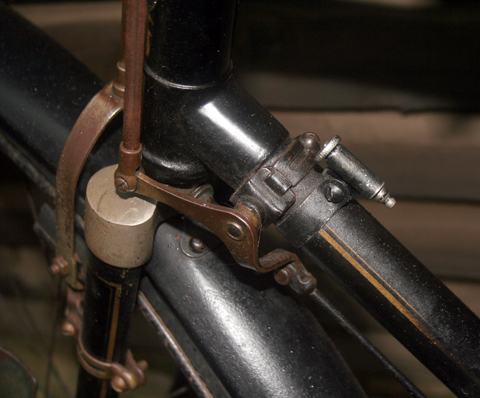 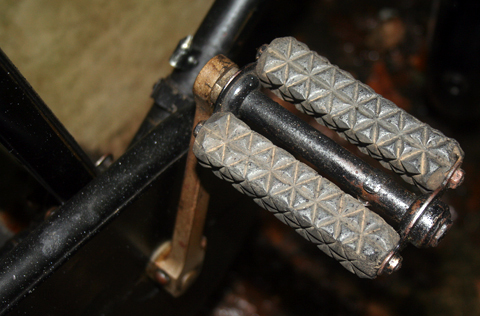 There are a few aids to dating a bike, such as nickel-plated handlebars, which were used until the late twenties. 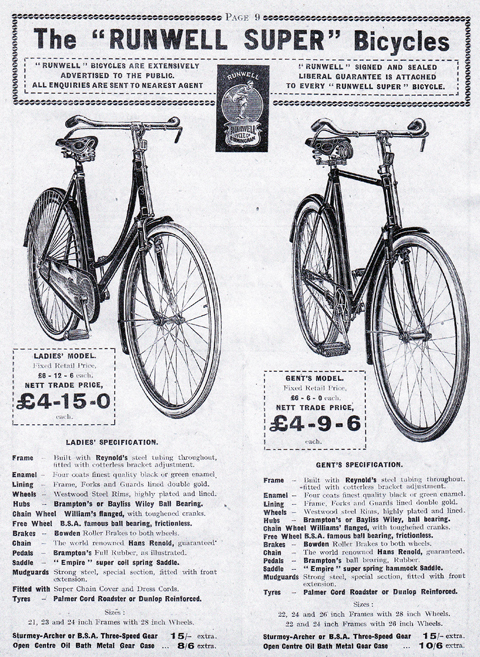 But otherwise catalogues are the standard way to date a bicycle. 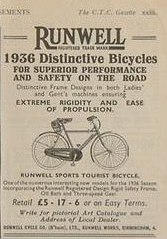 The 1927 Runwell catalogue describes this particular bike very well, so I think it is probably very close to that year. 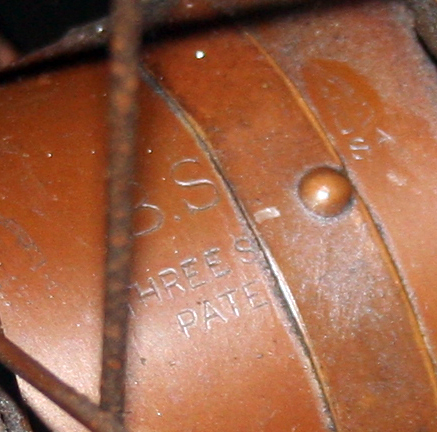 This one does not have an open centre metal gear case, as per the catalogue. 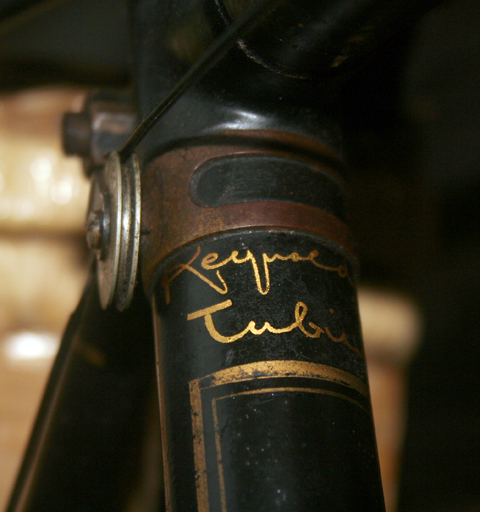 The Reynolds Tubing logo is on the top of the seat tube.